Building a Prison / Correctional Facility? Building a Stadium or Arena? Building a Total Precast Structure? Building a Water / Sewage Treatment Facility? Building a Bridge With New England Bulb Tee Girders? Building a Bridge With Box Girders? Building a Bridge with Voided or Solid Slabs? Budget Pricing from preliminary plans to specifications. Value Engineering & constructability reviews of proposed designs. Design/Build proposals for all types of structures. Professional project management of the precast concrete scope of work. 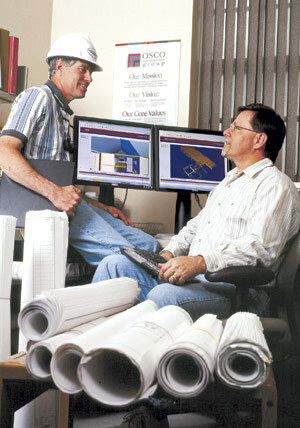 In-house computerized drafting services for production of shop drawings. Specialized finishing department for application of a variety of colours, shapes & textures. In-house erection or subcontracted erection services, whichever is the most advantageous for our clients.